WASHINGTON, July 30, 2014 - The House Agriculture Subcommittee on Livestock, Rural Development and Credit held a hearing on coordinating the future of broadband investment. Lang Zimmerman, vice president of Yelcot Telephone Co., a member company of rural broadband association NTCA testified that funding the U.S. Department of Agriculture's Rural Utilities Service is critical for network upgrades and deployments in rural areas. Zimmerman complained that Universal Service Fund reforms had compromised the "success momentum" of the RUS telecommunication programs. 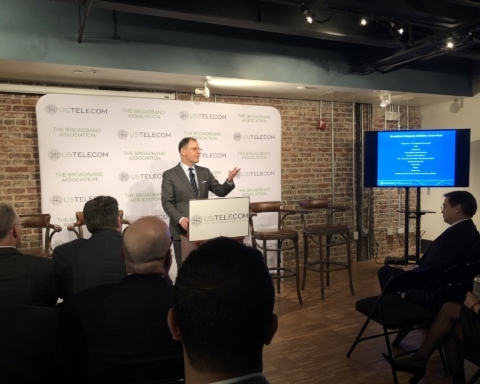 "It will be all the more important to continue providing RUS with the resources it needs to lend to the rural telecom industry as demand for financing will inevitably increase when reforms are improved and small carriers are given certainty, hopefully through a program like the Connect America Fund that is designed to promote broadband investment," Zimmerman said. Directing resources toward the RUS Broadband Loan Program and the Telecommunications Infrastructure Loan program is a "win-win situation for rural broadband consumers and taxpayers," he added, because both programs are obligated to pay back the loans with interest. AT&T announced it will be deploying its fiber-based "GigaPower" network, capable of up to 1 Gigabit-per-second speeds, to parts of Nashville, Tennessee, Multichannel News reported. The same city, currently served by Comcast, is also being eyed by Google as a potential site for Google Fiber expansion. AT&T will also be expanding "GigaPower" to San Antonio, deploying fiber and adding important last mile network electronics to the existing city network, Fierce Telecom reported. City leaders lauded the deal. "The growth of San Antonio's tech industry is due in large part to the on-going cooperation and collaboration between government and the private sector," said Hugh Miller, San Antonio's chief technology director. "The City of San Antonio is excited about working with AT&T to bring their U-verse with AT&T GigaPower technology to our communities." Senate Judiciary Committee Chairman Patrick Leahy, D-Vt., introduced a revised version of the USA Freedom Act on Tuesday. The revision builds off a similar proposal by Rep. Jim Sensenbrenner, R-Wis., to prohibit bulk data collection under Section 215 of the USA Patriot Act. Government agencies will have to narrow their searches to "specific selection terms." Reforms will also be made to secretive court that hears cases under the Foreign Intelligence Surveillance Act.